Located just a few miles from California’s northernmost border, Klamath Falls is a major shopping, healthcare, employment, cultural and recreational destination for four counties: two in Oregon (Klamath and Lake) and two in California (Modoc and Siskiyou). 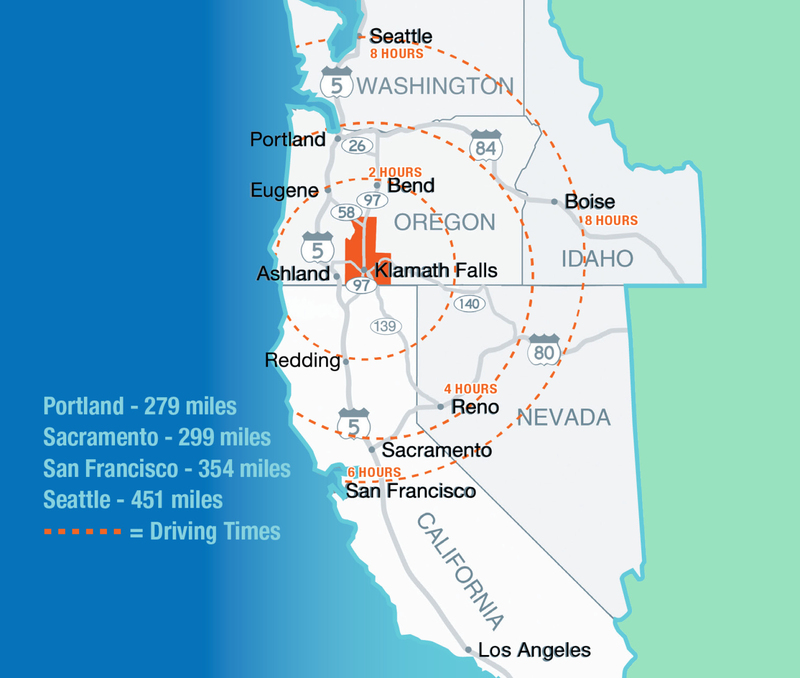 We are five hours by car to Portland, San Francisco, Sacramento and Reno, making Klamath Falls an excellent distribution hub to these marketplaces and beyond. FedEx Facility at the Klamath Falls’ Crater Lake Airport. Major Highways: Three highways converge at Klamath Falls: U.S. Route 97 (north to Bend, south to Weed / I-5), Oregon Route 140 (east to Nevada, west to Medford), and Oregon Route 39 (south to California, en route to Reno, Nevada). All three highways are well maintained all year long, with Highway 97 being the primary corridor east of the Cascade Mountain Range connecting Northern California to Oregon and Washington. Rail: The Klamath Falls rail yard provides switching, rail car storage, and locomotive repair. 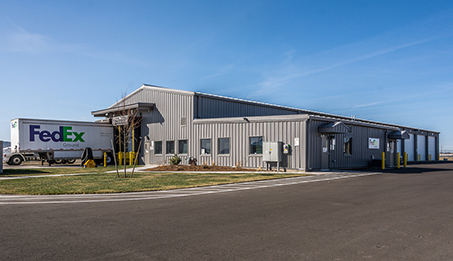 BSNF and UP rail connect Klamath Falls to all major western markets, facilitating the efficient shipping of products and materials. Klamath Falls is serviced twice daily by the Amtrak Coast Starlight route that runs between Los Angeles and Seattle. Airport: The Crater Lake – Klamath Regional Airport is strategically located halfway between Portland, Oregon and San Francisco, California on the east side of the Cascade mountains. The airport has two runways (10,301′ and 5,260′), a control tower (attended 7 a.m. – 10 p.m. PST) and on-field services including fueling, ramp space, maintenance and repair. Amenities such as car rentals, restaurant and meeting space are also available. The Crater Lake – Klamath Regional Airport is home to the Oregon Air National Guard 173rd Fighter Wing as well as a U.S. Forest Service Tanker Base, helicopter and fixed wing flight schools and cargo operations. The Airport has developable land for both aviation and non-aviation uses with most parcels already having on-site utilities that include electricity, water, gas, sewer, telephone and fiber optics. 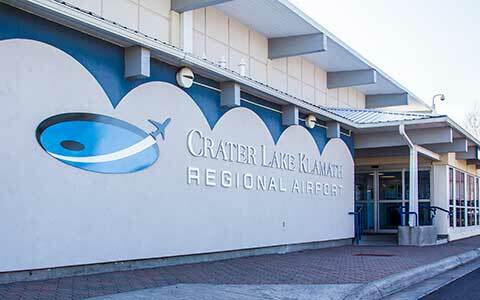 Crater Lake – Klamath Regional Airport has been serviced over the years by various airlines including United Express, SkyWest and Horizon Air. PenAir, one of Alaska’s largest regional airlines provides daily air service between Klamath Falls and Portland, OR. The city of Klamath Falls is located in a Known Geothermal Resource Area (KGRA), which provides our area with a valuable renewable energy source. Many area homes, businesses, schools and other institutions have been geothermally heated since the early 1900s. Today, we have a geothermal district with a heating system that melts snow and ice on our downtown sidewalks and crosswalks, heats our year-round outdoor city pool, and provides low-cost heat to numerous buildings. In 2003 the control system was upgraded to modern digital controls. Geothermal infrastructure is also installed and available as part of basic utilities at the Timbermill Shores development along Lake Ewana. 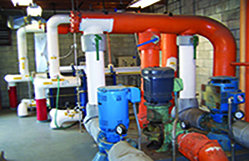 For several decades the Oregon Tech campus has been heated completely by geothermal water. Today this vast geothermal resource is being used in a 1.75-megawatt combined heat and power plant to provide electricity to the campus. 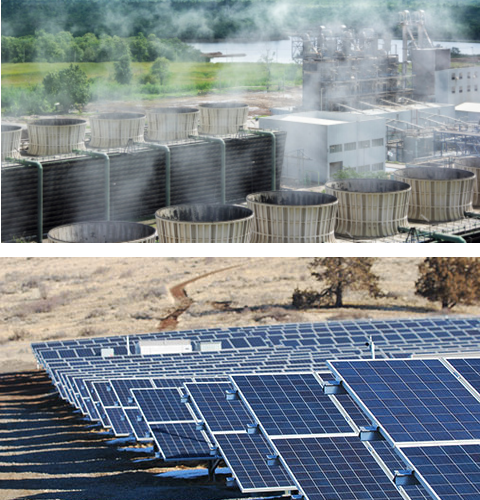 Oregon Tech became the first university in North America to generate nearly all of its own electrical power for the campus when they completed the 1.75 MW geothermal power plant and the 2.0 MW solar array project. 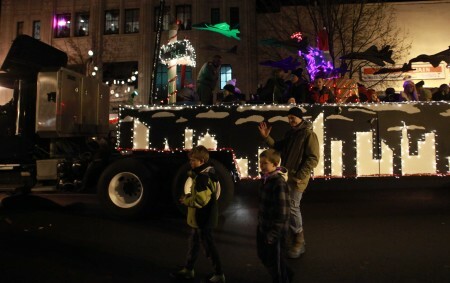 The Klamath Falls Downtown Association works hard to keep downtown attractive. Downtown Klamath Falls is a diverse district that includes a vibrant business community, two performing arts theaters, Link River nature trail, Veterans Memorial Park on the shore of Lake Ewauna, several museums, and more than 10 significant buildings listed on the national historic registry. The heart of downtown Klamath Falls is iconic Main Street lined with beautiful decorative lamp posts, and about 30 restaurants, pubs and coffee houses. From handcrafted microbrews to locally roasted coffees, downtown is a great place to find local food and fun. 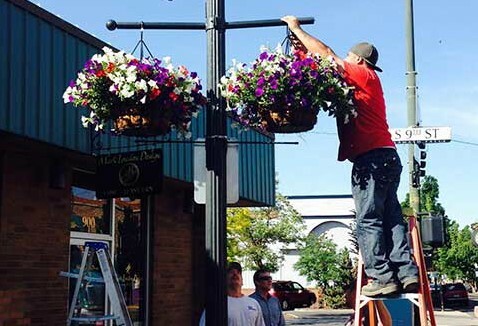 In late spring, Main Street blossoms with beautifully maintained hanging baskets and potted annuals that drench us with color throughout summer. Summertime Farmers Markets are a big draw on Saturdays with local produce, artisanal wares, and activities. The annual Snowflake Festival in December welcomes winter with a parade, tree-lighting and many other activities like a gingerbread contest that bring people together even on the coldest of nights. Our geothermally heated sidewalks make downtown a wonderful place to stroll and shop throughout the winter months. The Klamath Falls Downtown Association is always at work to see that this area is safe, beautiful and fun. They assist downtown businesses and property owners with promotion, preservation and finance, and build strong relationships throughout the community.